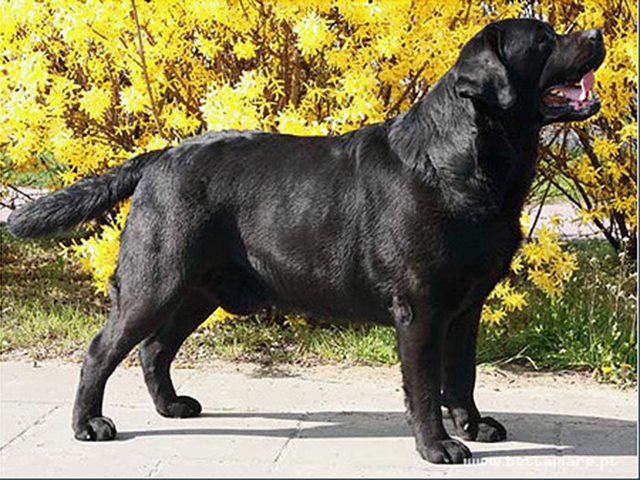 Yunwu is a gorgeous boy, whose pedigree is based on the famous, american Dickendall line. Yunwu, same as his wonderful ancestors is a dog with substance, strong bone ,nice anatomy and a lovely "dickendall" head to complete the picture. This pretty boy was bred by Monika DowgiaĹ‚Ĺ‚o ( www.herbuzadora.pl ) who owns his parents - US import Nimloth Logan at Herbu Zadora (son of the outstanding Dickendall Davaron Gable) and Zebu Zadziora Herbu Zadora (Dickendall Davaron Anslo daughter). Yunwu started his show career with a bang winning the biggest International show in Poland and gaining the titles Middle And East Europe Junior Winner and Polish Junior Winner. Lightly shown he has a few titles and a big fan club. His first children have gone into the show ring and are already being successful.